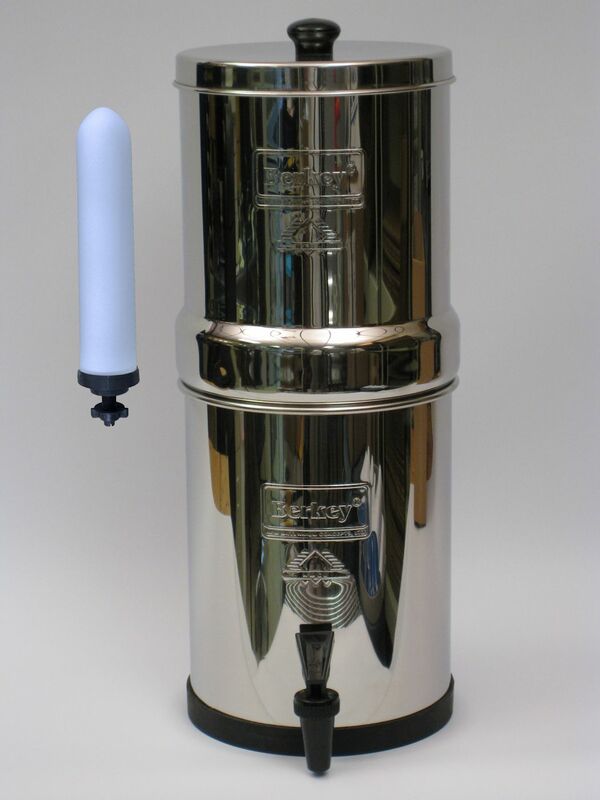 Made from high grade polished stainless steel, the SS Gravity Filter is a portable, robust model, which is easy to keep hygienically clean. The SS is very popular with aid organisations and private customers alike. The Big Berkey can be fitted with 2, 3, or 4 filters depending on the flow rate required (more candles = higher flow rate). 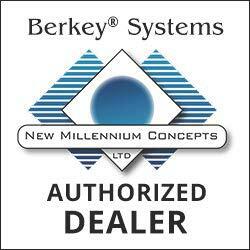 All Big Berkey units have four holes to enable the fitting of up to 4 filters. The holes which are not in use are filled with removable plugs. The SS should be fitted with either Super Sterasyl™ or Black Berkey™ candles. For ease of transport, the upper chamber fits into the lower chamber to save space. The capacity of the lower chamber is 2.25 Gallons. To download a pdf of the SS Data Sheet, please click here.